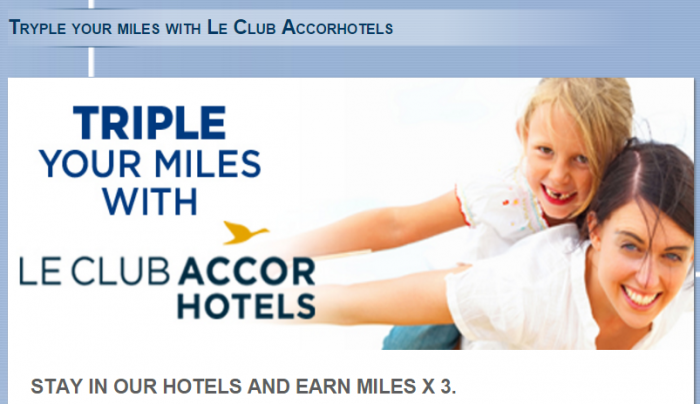 Le Club AccorHotels has launched a triple miles offer TAP Victoria member stays between October 27 – January 31, 2016, and booked by December 15. This offer requires you to collect partners miles instead of Le Club AccorHotels points. You must designate TAP Victoria as the preferred program. Note that the promo page and the T&Cs have different dates when this offer ends. I have used the dates listed on the terms and conditions. Yet another promotion that has not properly been proofread by Le Club AccorHotels employees. There are way too often inconsistencies between the T&Cs and promo pages. 1. General Le Club AccorHotels terms and conditions apply to the “TAP Autumn” offer. 2. This offer is valid for a stay from “27 October 2015” and “31 January 2016” in one of the participating hotels in the world and booked between “27 October 2015” and “15 December 2015”. 3. This offer entitles Le Club AccorHotels Loyalty members, regardless of their status, to benefit from earning points x3 in one of the participating hotels in the world and to access the special “Private Sales” rate which gives a up to 30% discount on the room booking from 17th to 26th November. The discount applies to the unrestricted public rates on the dates requested. 4. In order to access the special “Private Sales” rate, you must log-in and connect as a Le Club AccorHotels member before selecting the destination and the staying period in the booking engine. 5. In order to access the special “Private Sales” rate, you must book online: on accorhotels.com or our participating brands websites or through the Accorhotels.com mobile application and via AccorHotels call centers. All other reservation channels will not be eligible for the “TAP Autumn” offer. 6. In order to access the special “Private Sales” rate, payments must be made online by credit card at the time of booking. Payments made after booking will only give access to bonus points x3. 7. In order to benefit from the “TAP Autumn” offer, you must provide your loyalty card number or member number when making your reservation, and present your card at the reception desk of your hotel when you check-in for your stay. 10. Le Club AccorHotels bonus points will be credited on the member’s account within 10 days following the end of his/her stay and will be converted into “Victoria TAP program” miles according to the applicable conversion rule. 11. In order to benefit from this bonus, the member must have activated “Victoria TAP program” as preferred conversion option ahead of the stay.